93,000 Acres of Public hunting Land! Over 93,000 acres of the Shawnee National Forest is located in Pope County. This is over 1/3 of the entire forest in one county! Almost 40% of the entire county is Public Land! Pope County is home to the LARGEST wilderness area in the state of Illinois; Lusk Creek Wilderness Area - Over 6,000 acres alone! Last 5 years there have been more bucks harvested than does! This has to be some of the best public hunting land in Illinois. 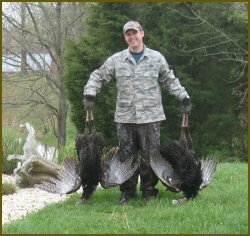 Find Lodging Close to this Public Hunting Land!